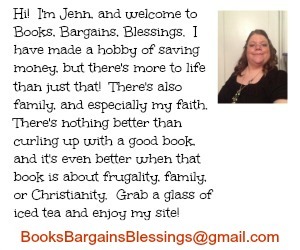 FTC disclaimer: I received a copy of the book from the publisher for review purposes. All opinions are my own. This post may contain affiliate links. In the book Life, In Spite of Me: Extraordinary Hope After a Fatal Choice, Kristen Anderson was depressed. Not really any one thing contributed to this depression, but she'd been fighting with her parents, three friends had died as well as her grandmother, she had been raped, and the previous night she'd been out until ten in the morning with friends. She was grounded until further notice. She sneaked out to be with friends, left a note saying she was going to take a walk, and later was in a park. She decided to sit on a train car and think. As she heard a train approach, she decided she would end her life. She planned for the train to hit her and she assumed death would come instantly. Instead, she survived, but her legs were cut from her body. This book is the story of her journey to live as well as learning to live with her limitations. Not having legs meant that she was confined to a wheelchair for a while. She had to do exercises to strengthen her arms so she could even get herself to and from the wheelchair. This book points out things that are harder for the handicapped to do -- some doorways are too small to get through, steps are a problem in private homes, and even reaching into the cupboard for a glass can be impossible for someone in a wheelchair! 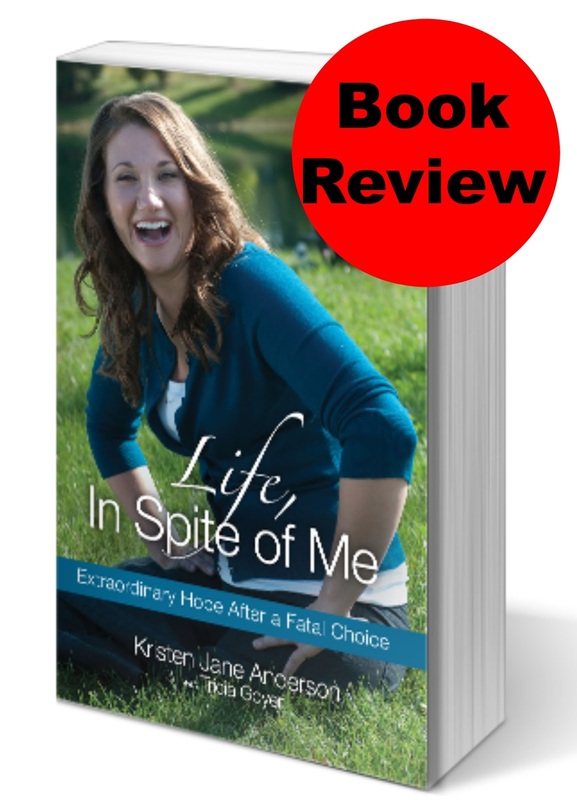 A fascinating story that I could not put down, Life In Spite of Me was a book that is honest about struggles but also shows how she found faith in God. This book can't be summarized in a short book review, because the details are what creates such a great read. The day to day concerns of everything from financial to the pain of the latest surgery to finding a new medicine that works better, those are what makes this book such an excellent read. It's not her story -- it's her journey. Eventually Kristen decides to go to Bible college. She tells her story when asked, and eventually lands on Oprah! This is an amazing book, and one I highly recommend. Although it is about the tough issue of suicide, it is skillfully written and focuses on living a life of faith after a tragic event as well as giving hope to those who are depressed. You can connect with her via her website: Reaching You Ministries or via Facebook. I am grateful that this young woman wrote such a book...a book that you could not put down. I had a dear friend who killed himself and left things and a note at my apt. that I would be the one to find him. It was one of the hardest things I ever dealt with and find that suicide is a place that even survivors like Kristen or survivors of the one who did not survive have suicide struggles. Not that I ever desired to take my own life, but that I had fears and memories that faded ever so slowly. Thanks for sharing this. Hi, Jenn. This is an amazing book! I read it several years ago and still share it with others. It's amazing how God turns horrible situations around for His glory. Thank you for sharing with Thankful Thursdays, I hope to see you again later this week. Kristen's life story is a source of inspiration to other people. It only goes to show how depression can ruin ones life if not treated properly. Will definitely ask my students to read this book and write their own term paper for college review afterwards.